Looking for a fun, unique way to give your son/daughter a birthday never to forget? look no further than the diamond lounge. he/she can party with all their friends in a safe, fun and friendly environment! we even cater for graduation parties, school holiday parties, you name it we do it! 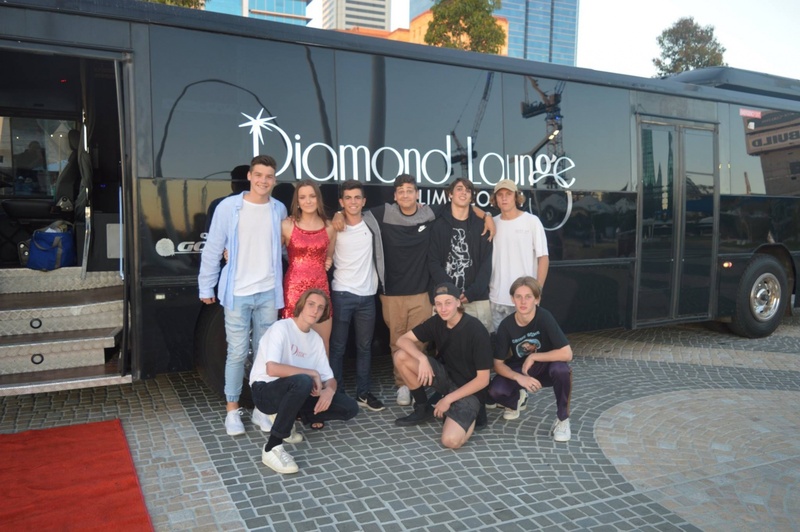 For young kids & teens Diamond Lounge is perfect for boys & girls to celebrate their birthday. On Diamond Lounge, the music is loud, the lights are flashing, the kids are dancing & having a great time. Whether you’re looking for a transfer to a venue or just looking to stay on board- there’s plenty of fun to be had! pick up the group any day or time of the week and Diamond lounge will be there! Cruise down the coast, photo stops in kings park for some great group shots or if time permits why not get some pizzas delivered for the kids then hop back on board for more dancing and fun! other popular locations to stop have been Fremantle beach, Time zone, McDonalds, Movies, Hillarys, Bounce. where ever and what ever we are happy to Tailor make the event! All charters come with a driver, all our staff are well dressed, vibrant, friendly and professional as customer service is our number 1 goal. Throw in a pole, dance floor, smoke machine, 4 microphone Karaoke, on board bathroom (30 Seater), 3 Mini Bars, the best in sound and lighting, red carpet rolled out your arrival/departure, Free water and photography, why would you bother with anything else!